In pictures — About 200 young thespians from the Middle East and Europe shine at LAU Beirut’s 13th annual theater festival. Around 200 young thespians from the Middle East and Europe met on the Beirut campus to present diverse performances during The 13th LAU International University Theatre Festival, held from July 22-28. The event featured over 20 theater productions, in addition to concerts, workshops, installations and discussions. Organized by LAU’s Department of Communication Arts, the event helped the participating actors grow professionally through exposure to new and unique techniques and styles used by their peers from various countries. 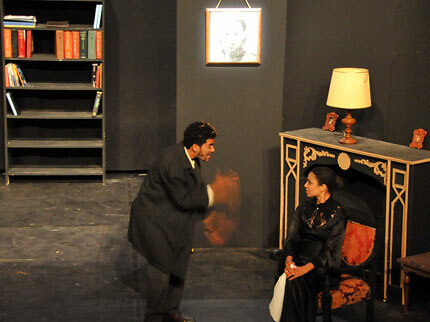 The festival was kicked off on July 22 with a performance of Kafka, His Father, the Boss, the Wolf, and the Pigs, an LAU major production directed by Dr. Lina Abyad, LAU assistant professor of theater, which was first performed in May. 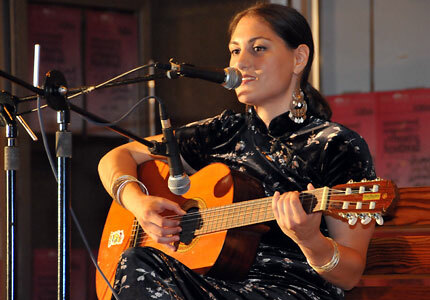 Following Kafka, the festival gave the floor to singer and songwriter Hiba Saab, who was the first of 10 musical performers. Walad, a local group that mixes folk, blues and oriental music, performed several songs outside the Safadi Fine Arts Building on the opening night, following Saab’s performance. 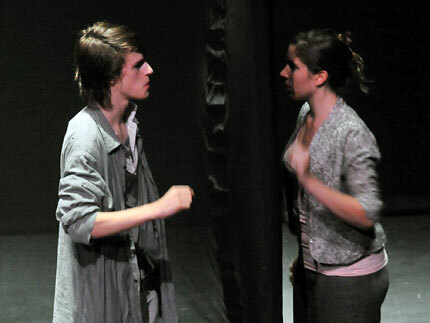 Students from the Utrecht School of Arts, in the Netherlands, performed their play Dwaal, meaning “wander,” during the second night of the festival. The play deals with issues of identity, expression, choice, social codes, and the strive for freedom. Festival participants came from Belgium, the Netherlands, Morocco, Tunisia, Egypt, Kuwait and Syria. A handful of Lebanese universities also took part, including LAU, the American University of Beirut, Lebanese University, and Haigazian University. In the Heart of the Heart of Another Body, an LAU fall major production directed by Nagy Souraty, an LAU theater instructor, was presented outdoors as an open rehearsal on the second night of the festival. “I think the festival was more colorful this year,” says Hala Masri, LAU theater coordinator who was a member of the event’s organizing committee — along with Souraty, Abyad and Dr. Mona Knio, associate professor in the Communication Arts Department. Masri says organizers worked harder and longer to plan the festival than in previous years, resulting in more plays and extra activities. “The festival has become a tradition at LAU,” Masri says. “People start asking me about it two or three months before,” she adds. Here, young professional Syrian actor Mustafa Al Khani leads an acting workshop for the young artists. 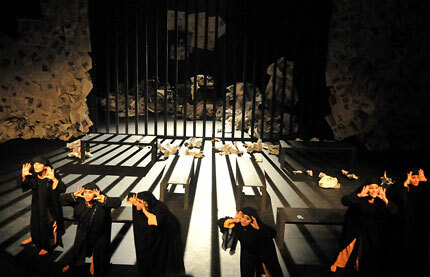 LAU students perform Seven Jewish Children: A Play for Gaza, written by British playwright Caryl Churchill in response to the 2008-2009 Israeli military strike on Gaza. Belgian actors from Théatre Universitaire Royal de Liège performed a theatrical rendition of Franz Kafka’s 1917 short story Communication à une Académie (Report to an Academy), on the third night of the festival. The story is about an ape named Red Peter who has learned to behave like a human, then writes to an academy about his transformational experience. 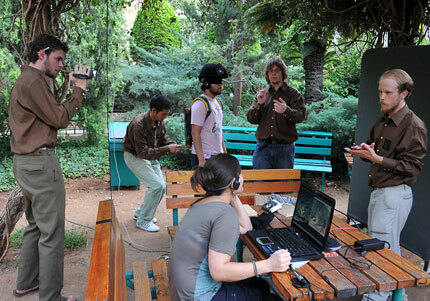 Students from the Utrecht School of Arts perform an outdoor experimental piece called Project Lens, in which two members from the audience depend on each other to complete several military-themed missions, developed in the form of a video game. The Bear was performed by the Higher Institute for the Performing Art and Cultural Activity in Morocco. The play, written by Russian playwright and author Anton Chekhov, is a story of two adversaries, a widow and her debt collector, who fall in love. 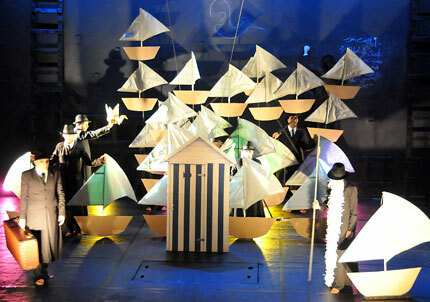 LAU student production Guantanamo: The Meaning of Waiting was staged on July 25, the fourth night of the festival which was reserved for Lebanese universities. The play tells the story of six women waiting for their husbands to be released from America’s infamous Guantánamo Bay prison in Cuba. View more photos of the theater festival.